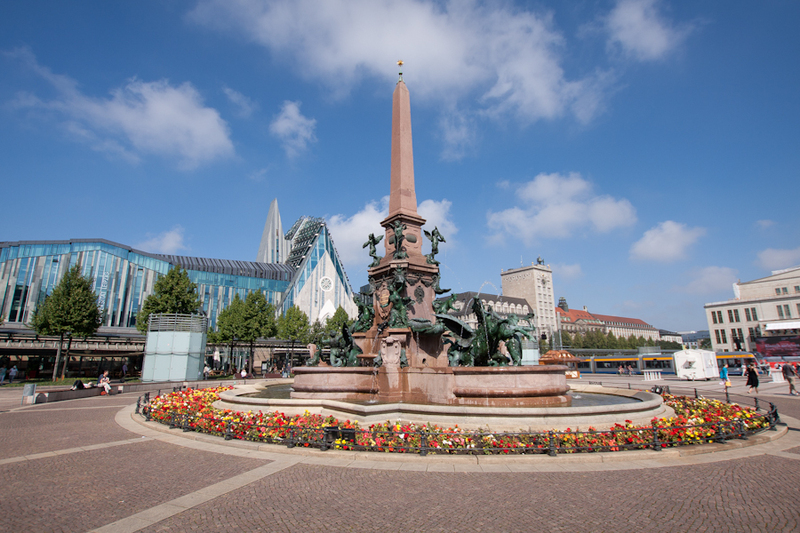 Continuing to share pictures from August, we spent a whole day visiting Leipzig, a city that’s 150 km far from Berlin. We got up early on a Saturday morning to catch the 7:00 o’clock bus, but as soon as we arrived at the ticket booth in the bus station, we discovered that the 8:00 o’clock bus was way cheaper than the 7:00 o’clock (I don’t understand why this happens here), of course we preferred the next one and we also bought the return ticket that was the last bus out of Leipzig (10:30 pm). We arrived 10 o’clock in the morning and went straight to the zoo to drop off Lucas (Rafael’s friend from Brazil), he is a photographer who loves animals and taking pictures of them (check out his work here: l8photos.com), this trip was totally his idea. While he was at the zoo, Rafael and I went sightseeing around the city, the downtown area isn’t that big, so we got to see many things.